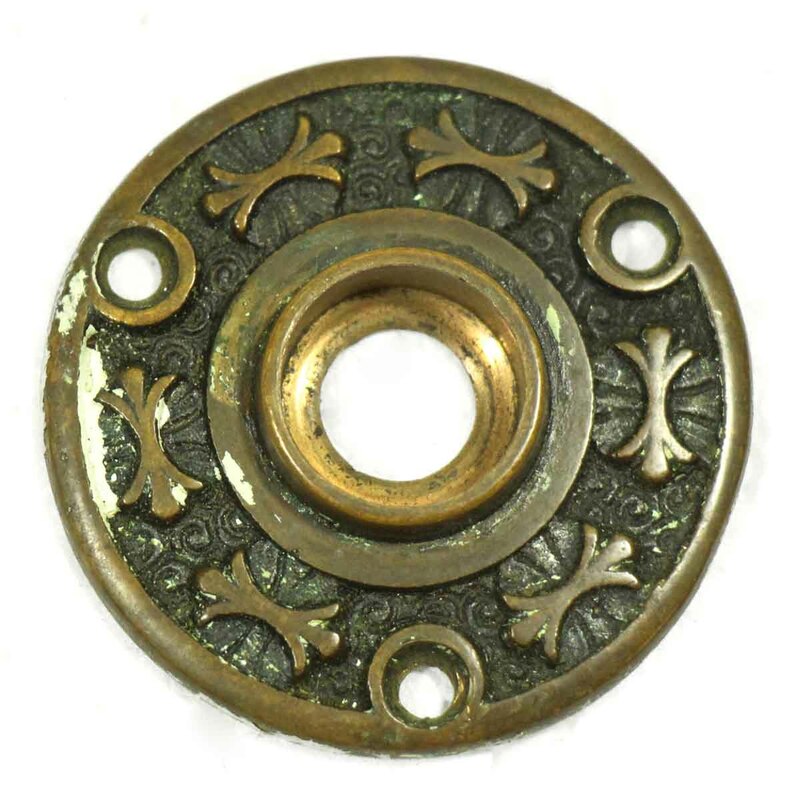 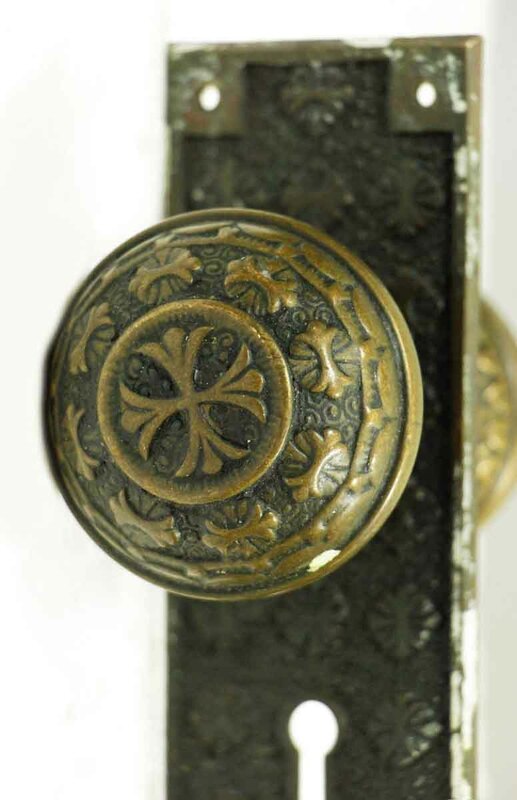 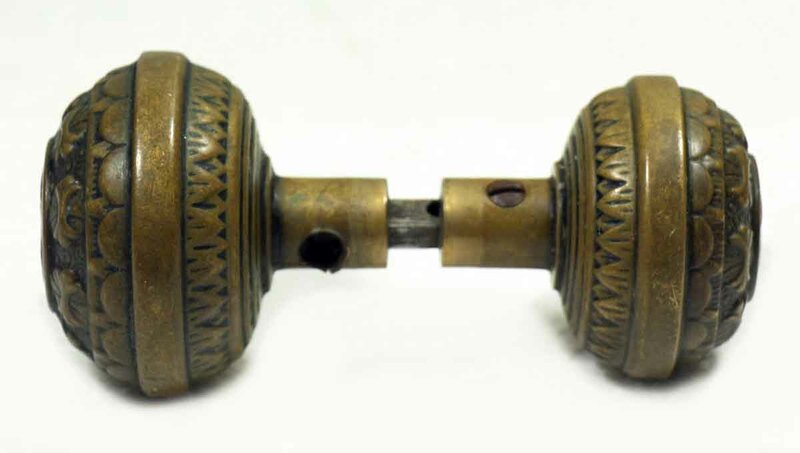 Vernacular style knob with a four fold center and eight fold outer design. 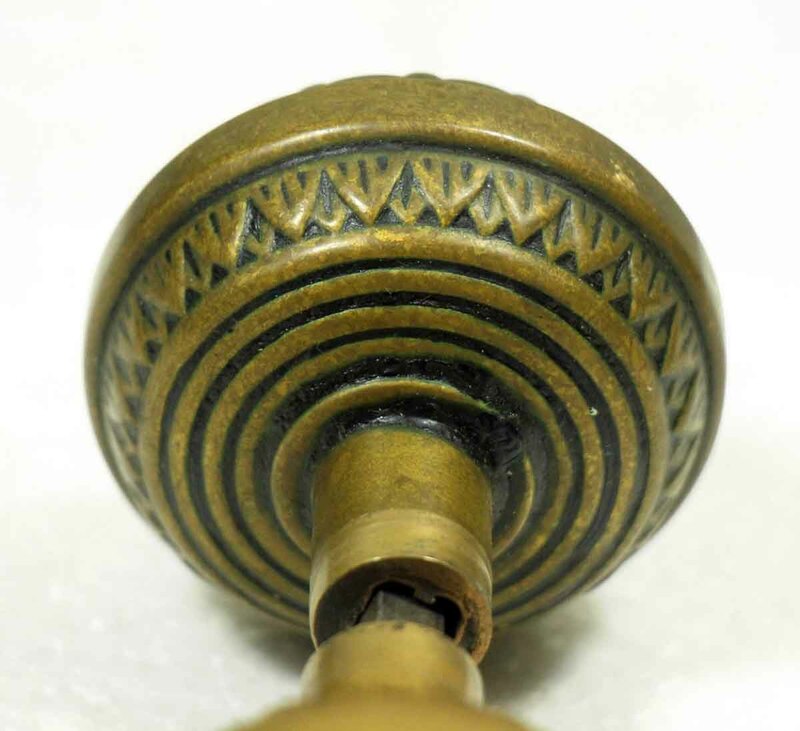 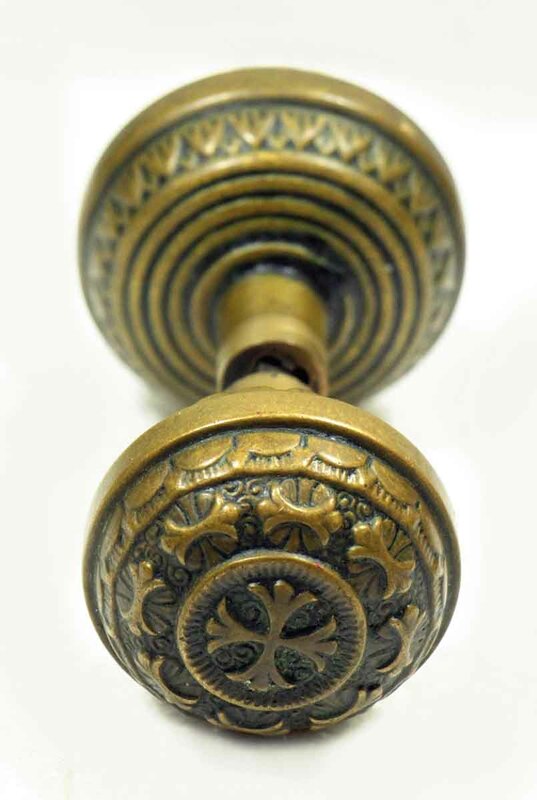 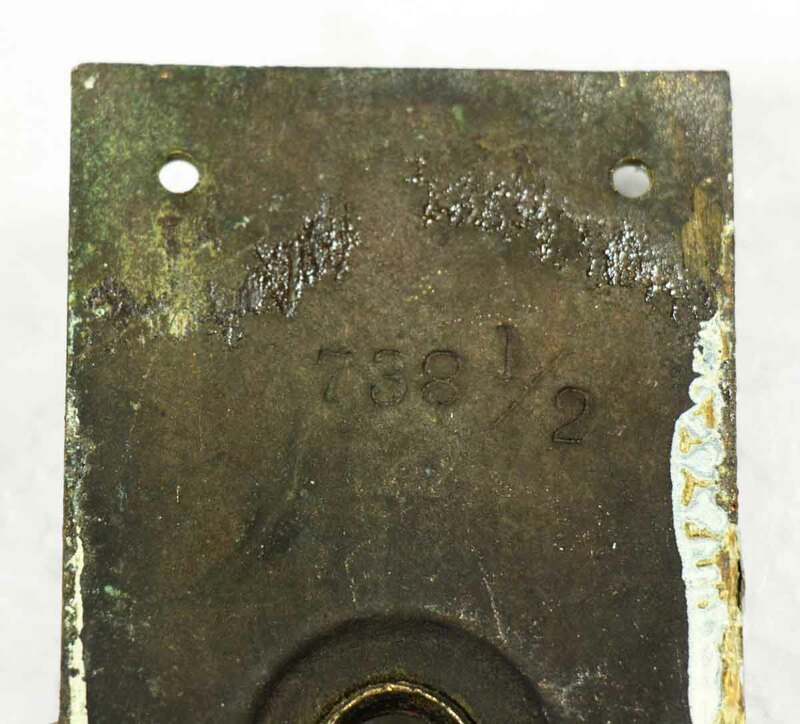 These knobs were made by Nashua in the 1885 catalog. 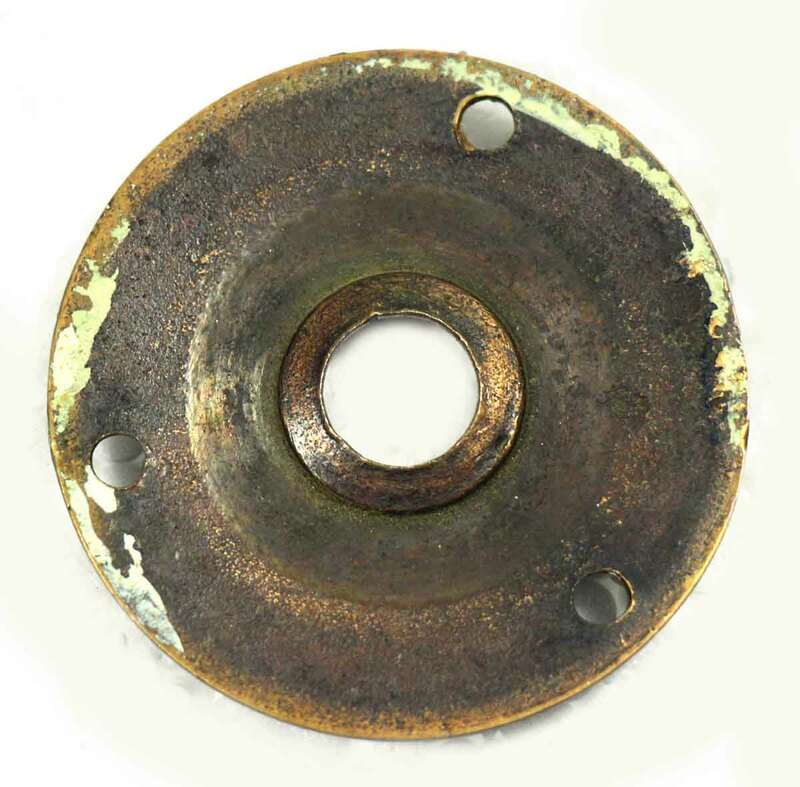 It is part of the K-30200 group. 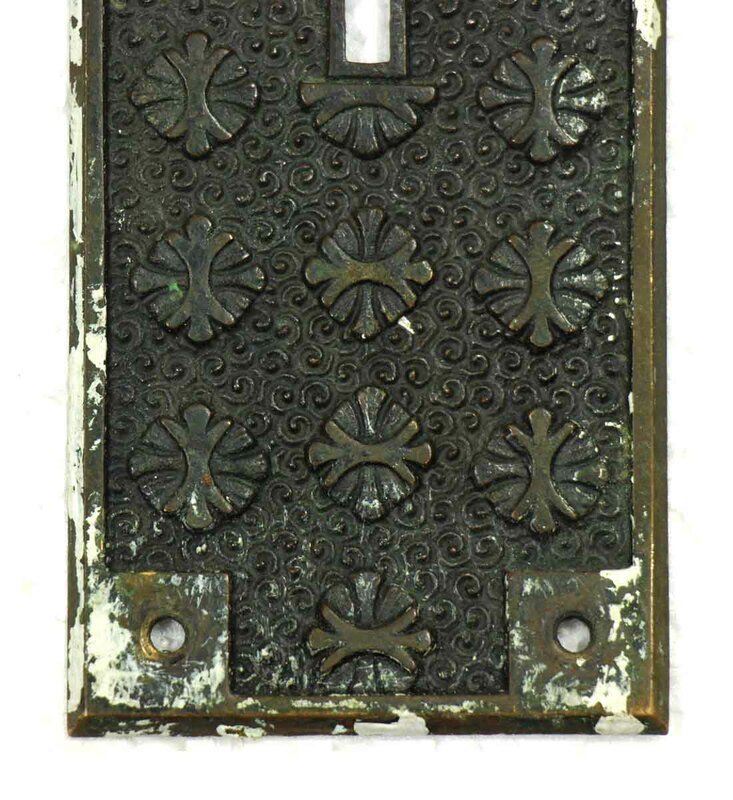 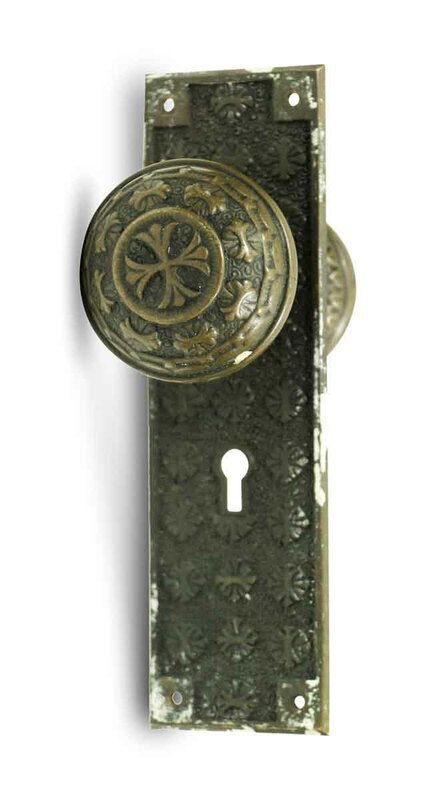 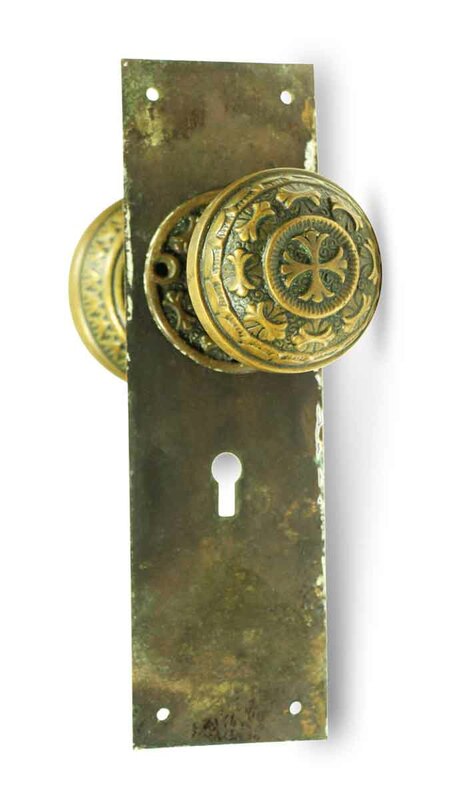 Set includes a pair of doorknobs, one back plate with a keyhole and one rosette.